Here are some of the released and unreleased projects I've worked on. Book of Changes, a kung-fu super saiyan over 9000 tabletop RPG I wrote to explore an idea about creating content. It sort of got out of hand. It's now a playable RPG about modern Chinese mysticism, with an original and (I think) interesting dice mechanic. If you play it, please let me know how it goes. Cities of Fire, my attempt at an "indie" RPG. I'm not entirely satisfied with the dice mechanics for this one. Also, I lost the setting description somewhere along the line. It's set in Sodom and Gomorrah, which float in the sky above the Lake of Fire in Hell. Some souls condemned to Hell land on the cities instead of falling into the Lake. Dust, a Mafia Game. I wrote and ran this Mafia game, based loosely on Silent Hill and Nick Cave's song 'Tupelo'. I think I overcomplicated it a bit, and I'd probably strip out some of the inventory and tracking rules if I were to run it again. (If you don't know what Mafia is, here's Wikipedia's explanation.) If you decide to use this, let me know and I'll make the changes I think it needs to run more smoothly , and I'll tell you what I think is going on, so you can have some backstory. Age of Wushu Beginner's Guide. I started playing Age of Wushu, a Chinese MMO that's been indifferently translated to English and released by Snail USA. It's impenetrable and I spent the first week completely baffled by it. As a public service, I wrote this guide to walk new players through the rough parts of the beginning. Dark Sun: Far Oasis. When the 4th Edition Dark Sun setting was released, I decided to use it to run a sandbox game. I was somewhat disappointed at the actual 4th Edition rules for Dark Sun, though, so I extensively rewrote them. There are a number of maps that go along with this text which I'll dig up and add to it at some point. 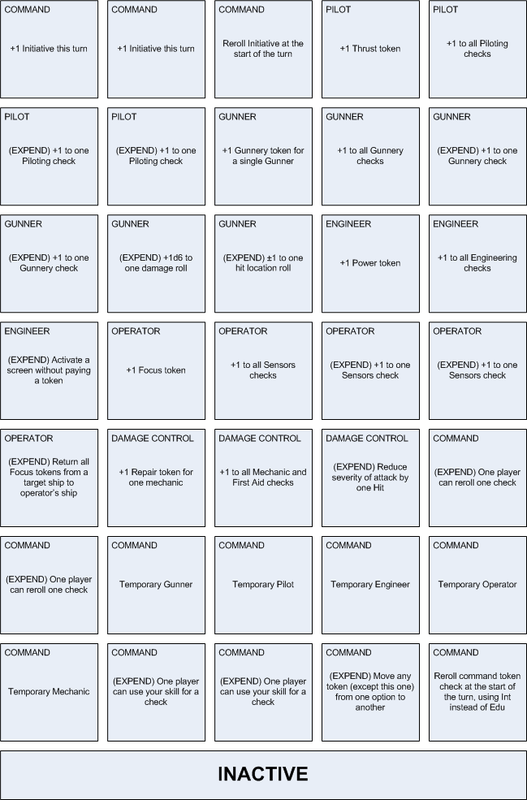 It's fairly playable though it will take a lot of GM work to pull off -- which is ultimately why I stopped work on it. Traveller Ship Combat. I didn't like the ship combat system in the Mongoose Traveller RPG. It seemed to leave most players idle while a few got to have fun. I threw it out and wrote a new system that allowed every member of the party to get involved and contribute. Much later, I played the indie game FTL, and was pleased to see the similarities between the two. (This is a docx; I don't want to deal with converting it to html.) 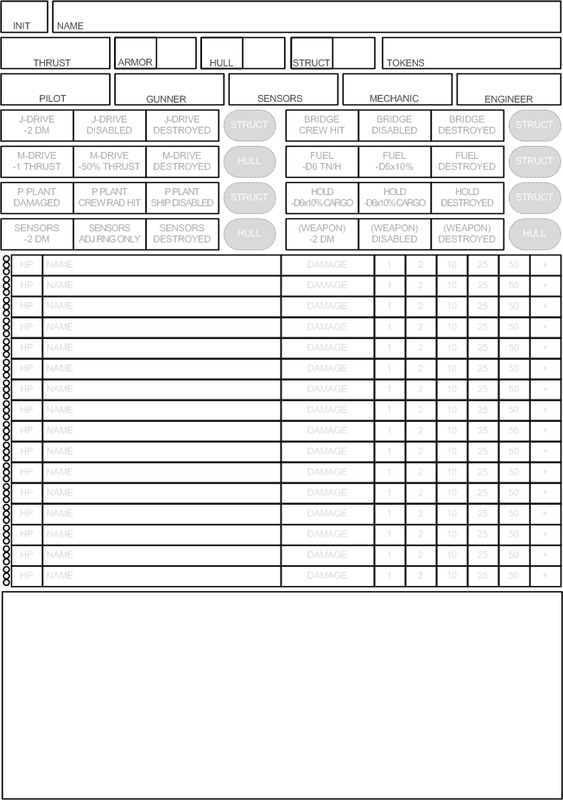 Two additional downloads go along with this: the Ship Combat record sheet and the Commander sheet.